The Tipton Christmas Tree of Light. 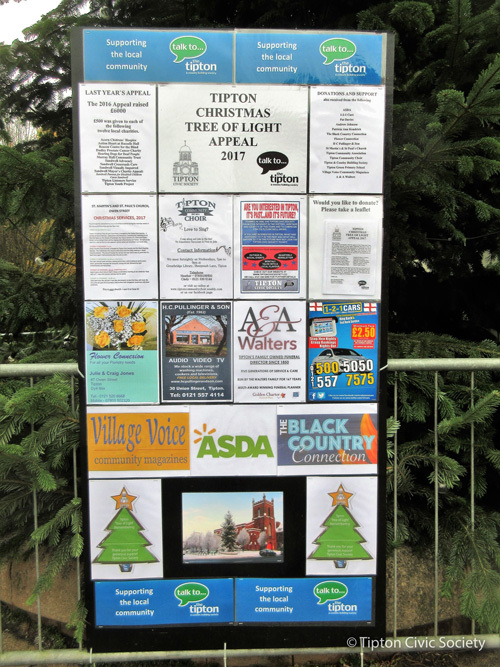 The Tipton Christmas Tree of Light Appeal raises money for local charities from donations made by local people wishing to remember lost loved ones at Christmas time. 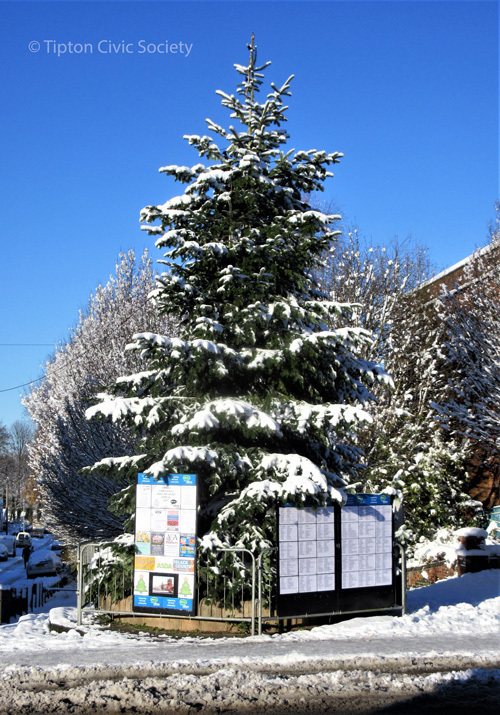 The Tree is illuminated and dedicated to the memory of these loved ones, be they family members, friends or colleagues, whose names are entered onto a Roll of Remembrance displayed around the Tree which is located outside St Martin`s and St Paul’s church in Owen Street. The 2018 Appeal raised £6,000 which has been distribted to the following local charities. Acorn Children’s Hospice. Sandwell Mayor’s Charity. Action Heart at Russells Hall. Sandwell Advocacy. Beacon Centre for the Blind. Sandwell Crossroads Care. Dudley Prostate Cancer Charity. Sandwell Visually Impaired. Hearing Dogs for Deaf People. Tipton Listeners Service. Murray Hall Community Trust. Tipton Youth Project.